Thank you for these 2 rare LPs. Was wondering if you have any of Abeti's albums by any chance like Je Suis Fache, En Colere, etc.. It just so happens I have several recordings by Abeti, including Je Suis Faché. So I'll probably post some in the future. My wife and I were just yesterday in the car, and I was raving over the beauty and seeming effortlessness of his singing in Mofuku na libenga. (Hope I wrote that right.) She wasn't impressed. I just heard it again, and again was impressed. I think I prefer the sheer sweetness of Kosmos Moutouari's sound, but damn, Tabu Ley was superb. We're all lucky he chose to record as much as he did--and thank you for keeping that voice alive and available to the rest of us. Having seen Tabu Ley perform a few times (notably once - in the Melkweg - draped in what to me seemed a large white bedsheet, with silver glittery trousers) I suspect he would not have been offended for his records to be stashed with those of Nana Mouskouri or even Heino. He was - and wanted to be - in all aspects an international showman. Do you have any authority to back up the claim that Faya Tess and Beyou Ciel are sisters? I had never heard or read that anywhere until today. Also, do you have anything from Peacocks International Highlife Band of Nigeria? 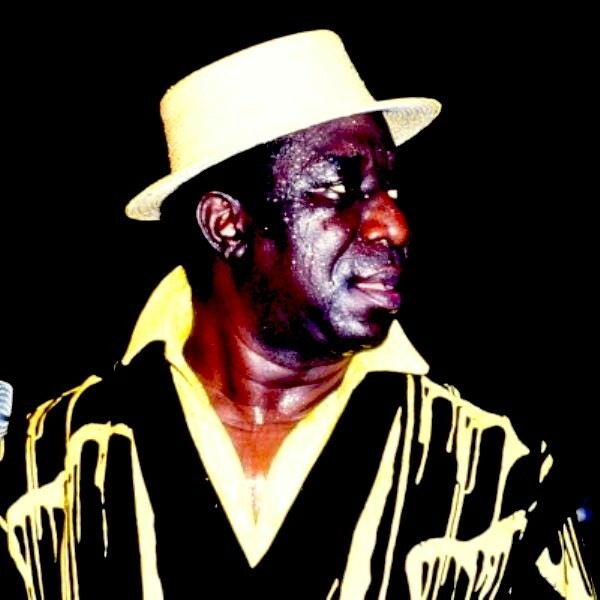 Specifically, I am looking for a 1977 album -- Ochonma Kparaku. If you do, can you share, please? I don't remember where I read that about Faya Tess and Beyou Ciel, but I think it was in a book rather than on the internet. But who knows? I have the album "Ochonma Kpara Aku" by the Sylarks, Dan Orji's split-off from the Peacocks. Is that the one you're thinking of? Also several albums by the Peacocks themselves. A post, or several, of the Peacocks AND the Skylarks, is an excellent idea! Great to hear that you are alright and back, I had wondered what became of you for awhile. The album I have been dying to finding is Peacocks’ Ochonma, it came out about 1977, after Orji’s departure. That album was a hit — every of its track was a hit. If you don’t have it, Skylarks’ version will substitute enough. I look forward to posts from you about them. Ralph Amarabem and Dan Orji have joined our ancestors without explaining what led to their releasing separate albums with similar songs, with only slight variations in lyrics and beats, from different bands right after Orji's exit from Peacocks. Indeed, Peacocks first released the album and the songs composers were listed next to the songs, yet Skylarks released its album less than a year later and it had most of the songs that had been released by Peacocks -- the only tracks not reproduced by Skylarks were Nne Wu Nne and Umu Nnunu. Guest what? Skylarks' album was also a hit and no lawsuit, over plagiarism or copyright infringement, was filed. I still don't get it. Anyway, here is a description of the album and I hope that you have it and can share it. Have a wonderful New Year, John.